The course of history for the past 500 years has been dominated by an ongoing conflict between the forces of tyranny and the human struggle for liberty. For over a millennium following the collapse of the Roman Empire Europe was dominated by a bestial Feudal system, enforced by the Roman Catholic Church, which enslaved the vast majority of the population in perpetual poverty and ignorance. But the Renaissance began to change that miserable situation. The Renaissance eventually gave birth to the political expression of the sovereign nation-state. As opposed to the continent being fragmented into dozens of fiefdoms, modern nations began to take shape that were more committed to the populations they ruled over. France, under the reign of King Louis the XI, was put on a course of nation building and thus became the first nation to emerge from the Dark Ages and the Hundred Years War to become a recognizable republic, devoted to the commonwealth. But, of course, the newly emerging nations were still dominated by a feudalistic oligarchy. It was not until the colonization of the New World that the opportunity presented itself to create a new nation – a free nation with an ocean between it and the tyranny of the European monarchies. 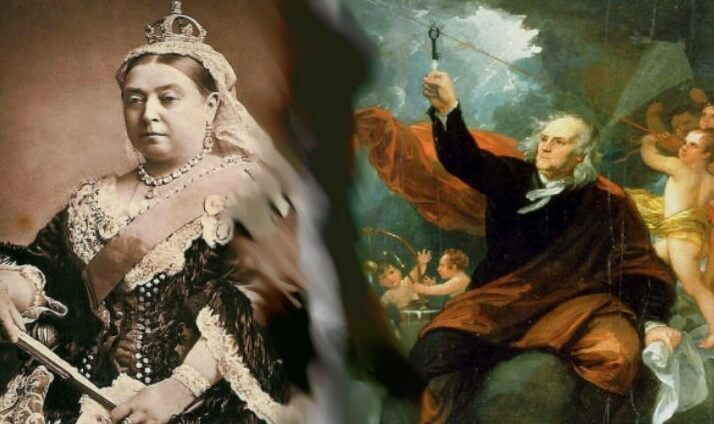 After the break away American colonies formed the first sovereign nation in the New World, two competing systems of political economy began to emerge – The British System and the American System. The British Empire was also profiteering in the slave trade and even though Parliament outlawed trafficking in human souls in the 1830’s, London was, nonetheless, allied with the Confederacy during the American Civil War and intended to break the union of the United States. The fact of the matter is, the imperial system of looting made many people fabulously wealthy. Many of the mansions in Holland Park and other affluent areas of London were built with the riches acquired through the business activities of the British East India Company during the 1800’s. HSBC, one of the largest financial institutions in the world today, first got its start processing the profits from the lucrative drug trade. And to this day the plethora of hedge funds and banks located in London’s offshore pirate coves, such as the Cayman Islands, are still deeply involved in laundering drug money for their wealthy clients. The American System, on the other hand, seeks to nurture and empower people to become productive members of society. It does so by means of education, infrastructure development, protecting domestic industry, fostering scientific progress, and by suppressing the rapaciousness of the British System. These two competing, antagonistic systems of political economy are what is symbolized in prophecy by the iron and clay and the kings of the north and south leading up to the time of the end. Since the end of the Second World War and the emergence of the United States as the preeminent world power, the Lord’s of London have sought to subvert America from her stated mission of freeing the world of colonial rule. In this they have succeeded. Particularly since the early 70’s, when President Nixon abolished the post war Breton Woods agreement, which effectively handed over control of the U.S. dollar to the London-based currency speculators and oil merchants, the American economic engine has been effectively throttled. But the parasitical British system of globalization is incapable of sustaining itself. That is because a parasite only lives as long as its host thrives and the host – in this case, the underlying physical economy of America and Europe – has been on life support for sometime now. Because the population of the earth is steadily increasing the physical means of sustaining the growing human family must increase as well. If not, then there will be a chaotic, rather unpleasant population collapse, which is what the Biblical prophets long ago foretold. The pyramidal scheme of amassing hundreds of trillions of dollars of debt predicated on extracting an income stream from a relatively miniscule few trillions of actual productive labor is manifestly unsustainable and doomed to collapse. So leveraged is the massive half-quadrillion dollar derivatives bubble, likened to a ticking time bomb, that a mere two percent notional loss could create a reverse leverage effect and virtually wipe out all of the world’s capital. That is why the system is now in an advanced state of economic breakdown – as a few sober observers are aware. In further evidence of that fact, commenting in the New York Times on the Federal Reserve’s temporary bailout of the now-defucnt investment bank, Bear Sterns, James L. Melcher, president of Balestra Capital, a hedge fund based in New York, said. “If the Fed hadn’t acted this morning and Bear did default on its obligations, then that could have triggered a very widespread panic and potentially a collapse of the financial system.” But as the title of the New York Times article suggests, Bear Sterns is just one of many toppling dominoes in the financial daisy-chain. But the rolling temblor now shaking the financial system is merely a harbinger of a seismic event that will shake civilization to its foundation and more importantly, herald that the day of Jehovah has commenced. So, what does the near future hold? The financial oligarchy are determined to use the collapsing dollar to finish off – once and for all – the American republic and the nation-state system globally; otherwise, they run the risk that the United States and other sovereign nations may unite in their common interest of self preservation and act against the financier’s interests, as the global financial system careens toward the abyss. Will the forces of empire succeed? In a word, Yes. The present democratic nation-state system is destined by the prophetic Scriptures to be crushed by the last empire. That calamity will herald the beginning of the end for the entire unsatisfactory system and commence a transitional phase that will culminate with the complete takeover of earth’s governance by the Kingdom of God in the hands of Christ.